The UK regulator has decided that arranging access to company management doesn’t constitute equity research. That’s more than just semantics. It rightly removes a bad incentive for fund managers to shunt trades to certain brokers. Yet another headache for the equities business. The UK’s Financial Services Authority said in its November letter to chief executives of asset management firms that the industry had failed to prove that access to company management - known as “corporate access” - constituted research. 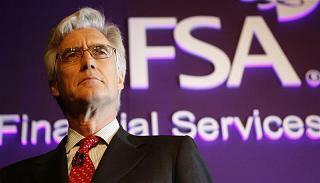 The FSA said that was a service typically provided to the asset management industry by investment banks. According to a report by the Centre for the Study of Financial Innovation, written by Vince Heaney and published on Nov. 16, the FSA’s view on corporate access may force the asset management industry to pay for corporate access out of its own pocket rather than through dealing commissions paid by their customers. A person familiar with the FSA’s stance confirmed the regulator is keen to crack down on the use of dealing commissions to pay for corporate access. The regulator’s letter to asset manager CEOs also said there was no evidence that preferential access to IPOs and market data services constituted research.